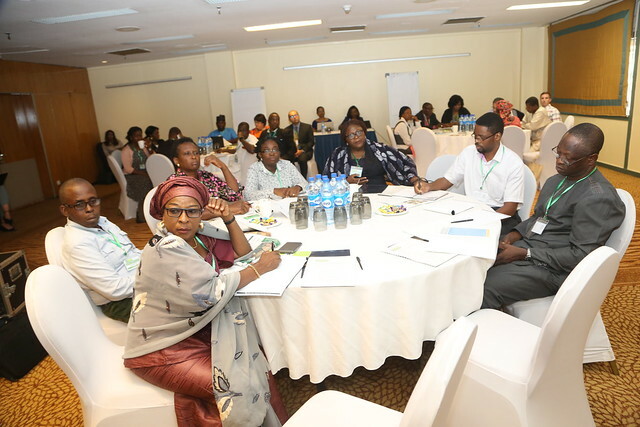 Abuja, May 9-10 2017 | The Global Panel and Nigeria's Federal Ministry of Agriculture hosted a series of events to support key actors at all levels of governance, and in the business community to develop scalable, investable and sustainable solutions to Nigeria’s double burden of nutrition. The Global Panel on Agriculture and Food Systems for Nutrition and Nigeria’s Federal Ministry of Agriculture and Rural Development have organised a series of events aiming to explore how the Global Panel’s work can support and inform Nigeria’s strategic approach to achieving healthy diets for all, now and in the future. In Nigeria, as in most African countries, overweight and obesity exist alongside stunting and wasting, and this “double burden” of malnutrition continues to grow. Against this backdrop, the events connected Nigeria’s key decision makers with the best independent and robust evidence to support action, drawing particularly on the Global Panel’s Foresight report "Food systems and diets: Facing the challenges of the 21st century". At the events, participants explored how the recommendations set out in this Report might help frame policy and inform its implementation, specifically through the “Federal Republic of Nigeria’s Agricultural Sector Food and Nutrition Strategy 2016-2025” (the Strategy), which was launched on the same day. Identify opportunities, incentives and next steps for new multi-sectoral partnerships to develop effective interventions along the food value chain and mechanisms/metrics to measure progress. This event was also considered in the broader context of the African Union’s Malabo Declaration, which calls for the pursuit of agriculture-led growth as a main strategy to achieve targets on food and nutrition security and shared prosperity and the realisation of the Sustainable Development Goals which provide a powerful and enabling framework for action and change. A crucial part of delivering the Strategy is to promote a food environment that is capable of delivering healthy diets for all.